If you really care about your car, you might be inclined to always wash it by hand. But many motorists discover -- too late, in some cases -- that they're doing the DIY method all wrong. If you use the wrong soap, you might end up removing the paint's protective wax layer. Washing your car directly in the sun can be problematic and can actually cause sunspots, while using too little water will fail to remove the dirt properly. And if you utilize subpar tools, you could end up scratching the paint. Since deep paint scratch repair can cost anywhere from $300 to $3,000, you might think you're better off just taking your automobile to the automatic car wash. But you could be wrong. Very wrong. Many experts point out that taking your car to the automat could have huge consequences. Even if the car wash is marketed as being "brushless," you could still end up needing an automotive touch up after you visit. If you want to protect your car's paint job and save yourself a lot of frustration, you'll want to consider skipping the car wash and mastering the do-it-yourself technique at home. Here's how your trip to the car wash could force you to invest in a car touch up paint kit or more extensive repairs down the line. 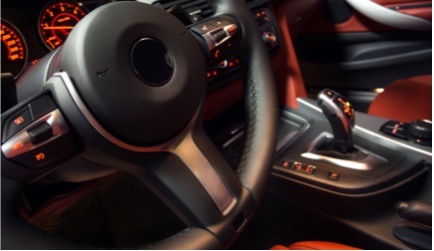 When dirty water is blasted at your car at high speeds, paint damage can occur. First of all, the water used in the majority of car wash centers isn't filtered. In many cases, it can be very dirty indeed. If the car goes through the wash prior to yours is caked in mud and grime, chances are that grime will then end up touching your vehicle in one way or another. Since dirt, mud, and sand contain tiny bits of rock, it's no wonder that you might require touch up paint for your Kia or your Honda even after you've had it professionally washed. To add insult to injury, that dirty water is put under an immense amount of pressure and then directly hits your car. 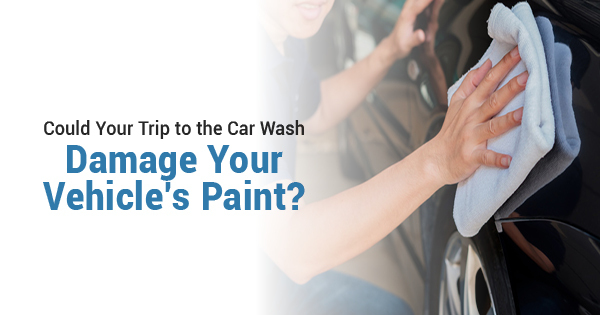 Not only can that cause damage to the paint, but it can also cause water to be directed into interior compartments that may cause more extensive harm to the vehicle. The water and its pressure aren't the only risks, either. Many car washes will utilize unnecessarily harsh chemical cleaners that can actually strip away the protective coating or sealant on the body of your car. Those soaps are meant to strip away dirt, but they can also strip away paint in the long run. And whether the car wash is brushless or not, it's going to use some sort of cleaning apparatus during this process. The dirt and grime we mentioned before often gets stuck in the rotating brushes or other equipment, meaning that it then goes onto every car that subsequently goes through the wash. This can cause major problems for your vehicle's exterior, so don't be surprised if you start to notice small scratches. 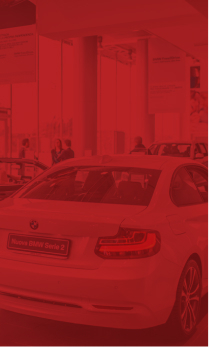 While some can be repaired at home if you get some touch up paint for your Kia, Jeep, or Chevy, you won't be thrilled if your brand new BMW or Cadillac is damaged due to some lesser car's dirt. Ultimately, these are all great reasons to do your research and learn how to properly wash your car at home. That said, you can always invest in touch up paint for your Kia or Volvo if you've recently gone through the car wash in your town.